With ‘softer-sit’ springing and a sumptuous two tier fibre-filled back, the Regent represents the ultimate in reclining comfort. The collection includes matching 2 and 3 seat settees, in a choice of fixed or all-action options, plus in both beautiful fabric and fine leather to create a classical suite. 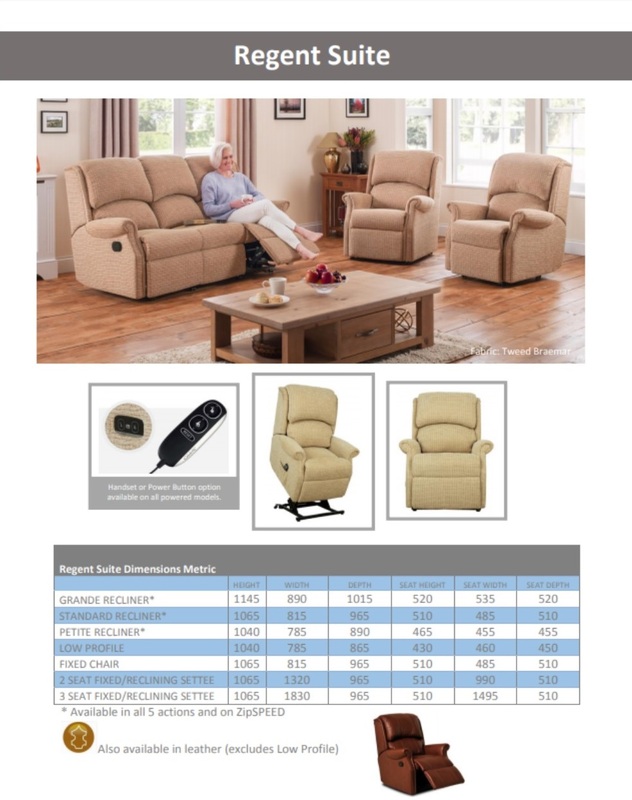 The Grande, Standard and Petite matching recliners are available in fabric or leather and the Low Profile riser recliner is available in any Celebrity swatch fabric.